The most influential people in Australia’s Not for Profit sector have called for greater collaboration both within the sector and with Governments. Members of the inaugural Pro Bono Australia Impact 25 shared their wishes for 2015, with many of them saying they hoped the Not for Profit sector could rejuvenate itself in order to tackle the challenges it faces. Last year almost 3,000 people nominated and voted for the 25 most influential members of the social economy. With the arrival of the new year, Impact 25 members revealed to Pro Bono Australia News what their hopes are for the sector, and the wider Australian community, and what they believe can be achieved. CEO of World Vision Australia, Tim Costello, who was named the most influential person in the sector, said he wanted average Australians to grow their sense of social responsibility. “To see Australians putting more energy into helping others feel a true sense of being a valued participant in their community – whether it’s their neighbour or someone from a place they have never seen. The rewards on offer are huge,” Costello said. CEO and founder of the Asylum Seeker Resource Centre, Kon Karapanagiotidis, said his new year hope was to see an end to damaging Government policies. “Political leadership, with policies founded on principles of fairness and humanity, rather than cruelty, meanness and divisive rhetoric,” Karapanagiotidis said. CEO of the Community Council for Australia, David Crosbie, said he wanted to see the sector take more responsibility for its own future. “My hope for 2015 is that charities and Not for Profits will become stronger and be more responsible for their own future,” Crosbie said. “I want us to build a choir of collective voices that Governments across Australia cannot ignore or dismiss. Anita Tang from the Cancer Council NSW said she wanted to see the Not for Profit sector have a louder voice in 2015. "My hope is that in 2015, Not for Profits do more to amplify the voices and share the stories of their constituents,” Tang said. “If ordinary citizens organise and mobilise, we can make sure that decision makers pay attention to the needs and interests of the community, whether for health, economic justice, or the environment. No to for Profits can act as a catalyst for citizen power. The full list of 2015 wishes from Impact 25 members is below. "My hope is that in 2015, Not for Profits do more to amplify the voices and share the stories of their constituents. If ordinary citizens organise and mobilise, we can make sure that decision makers pay attention to the needs and interests of the community, whether for health, economic justice, or the environment. Non-profits can act as a catalyst for citizen power. I believe we can create a more cohesive, healthy, and fair society by ensuring that governments are accountable to the people who elect them." "My new years resolution is for Amnesty International to remain a profoundly important voice in the fight for human rights around the world. In Australia, we won’t rest until there are no children left in detention centres and the government addresses the unjust and unfair treatment of our Indigenous youth, reducing the high rates of incarceration." David Crosbie – CEO, Community Council for Australia. 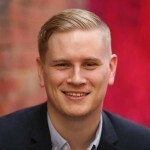 Jay Allen – Founder of sunbedban.com and Community Coordinator at the Melanoma Institute Australia.